Hi friends, this post provides an information about Carey Foster bridge. We will also learn how this bridge can be used to determine the resistance in detail with deriving an expression for determining resistance. We have already seen some basic methods for measuring medium resistances. Carey foster bridge is the method used for measurement of medium resistances. Carey foster bridge is specially used for the comparison of two equal resistances. The circuit for Carey-Foster Bridge is shown in figure below. A slide wire having length L is included between R and S. resistance P and Q are adjusted so that the ratio P/Q is approximately equal to R/S. this can be achieved by sliding contact on slide wire. The working principle of Carey Foster bridge is similar to the Wheatstone bridge. The potential fall is directly proportional to the length of wire.This potential fall is nearly equal to the potential fall across the resistance connected in parallel to the battery. Let l1 be the distance of the sliding contact from the left hand end of the slide-wire of Carey foster bridge. The resistance R and S are interchanged and balance is again obtained. Let the distance is now l2. Where l1 and l2 are balanced points when slide wire is calibrated by shunting S with a known resistance and S’ is value of S when it is shunted by a known resistance. Thus Carey foster bridge can be used to measure the medium resistance. Kelvin’s double bridge method for measurement of low resistance. Potentiometer method for measurement of resistance. 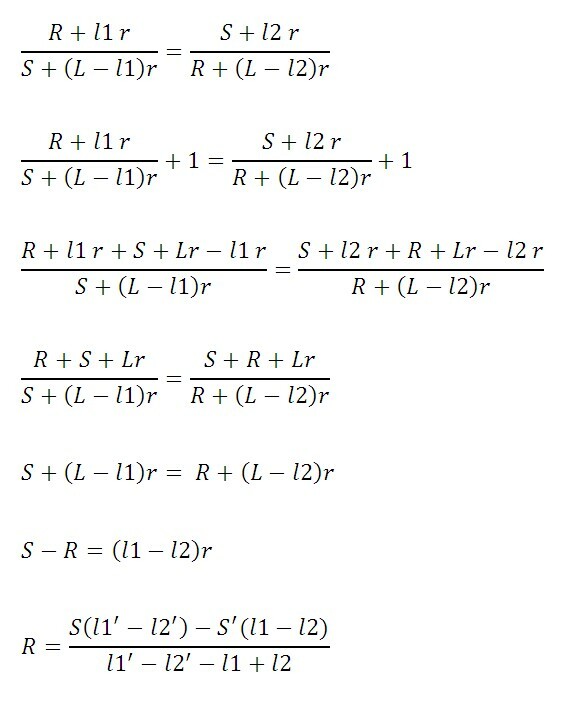 Substitution method for measurement of resistance.